Making a garage function more efficiently begins with proper storage, which doesn't have to be expensive. Over time, the garage can become storage central, often looking more like a personal landfill than shelter for your car. Rather than demote the vehicle to driveway or street parking, initiate proper organization with low-cost containers, shelving and other economical or homemade storage solutions. Budget-wise efficiency doesn't have to look cheap, especially when you give your garage a few stylish twists. See-through plastic storage bins aren't just inexpensive -- each costing about as little as running your vehicle through a car wash. They're ideal for stashing and, more importantly, finding seasonal sporting gear, holiday decorations, Christmas lights and more. These stacking, lidded containers often are sturdy enough for heavy items, such as seldom-used tools. Stack the heaviest bins on the bottom and the rest only as high as you can easily reach, so that they don't topple or cause an injury. A pegboard is likely one the garage's top-5 must-haves, especially for tool storage. If you [finish it](http://wwwfamilyhandymancom/garage/storage/garage-storage-projects-pegboard-storage-and-bin/view-all) yourself, you'll possibly pay half as much as buying a ready-to-hang unit. Then, add all the pegs, which include not just hooks but baskets, bins and shelves, for about the price of an average tank of gas. Or, design a similar system [from scratch](https://aulifestyleyahoocom/better-homes-gardens/diy/h/25494424/how-to-make-pegboard-shelving/), using doweling and scraps, such as leftover lumber, [polyvinyl chloride pipe](http://howtomanguidecom/2013/04/home-and-garden/how-to-make-a-pvc-tool-holder/), plywood and trim. 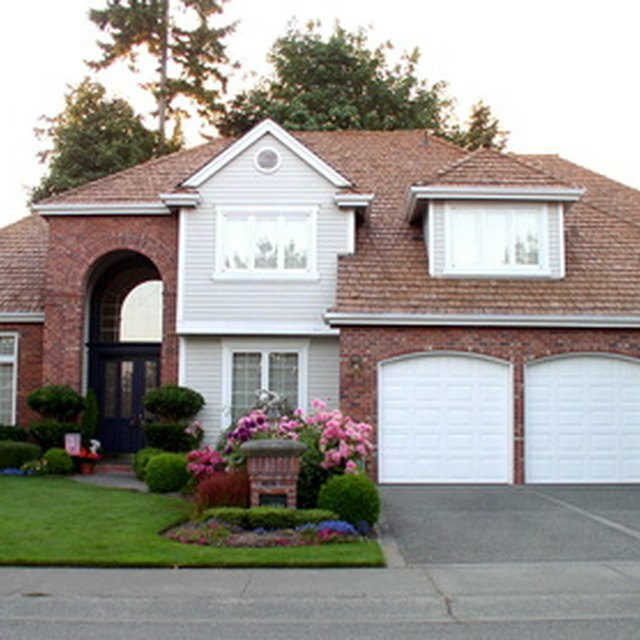 Paint is relatively cheap, so why not make your garage stand out by giving it an accent color? Roll a couple coats of racing-stripe red, yield-light yellow or man-cave burnt orange over pedestrian white or gray brackets that support shelves, any trim and metal shelving systems, using spray paint or high-gloss latex paint. Upper and lower cupboards aren't just for kitchens; they provide handy storage in garages, too; however, even a few sections can run upward of a mortgage payment or the rent -- the new ones, anyhow. Secondhand cabinets are relatively low-cost and sometimes no-cost:. Search for bargains or freebies in classified ads, at used-building-supplies stores and from cabinetry contractors who regularly rip out and cart away old kitchens before installing new ones. Plan the garage layout after scavenging for cabinets because, likely, your options are limited. Refinish the cupboards with glossy black, dark gray or metallic paint and clunky chrome or iron pulls and oversize hinges, replacing their kitchen homeyness with garage guise. [Hang them](http://www.ehow.com/how_4855783_install-cabinets-garage.html) securely from studs. If your home lacks a mudroom, plan one in the garage near the door leading into the home. You may not need more than a boot mat to keep mucky footwear from leaving tracks inside and coat hooks for hanging sweaty or damp outerwear to dry. If you have money to spare, go for a modest bench with bins underneath for mitt, scarf and hat storage, and a coat rack for pool towels -- or more coats. Dress up the niche with a mirror for [positive chi](http://www.care2.com/greenliving/5-feng-shui-tips-for-your-foyer.html) -- or a quick glance before heading out -- and a washable rag [rug](https://society6.com/rugs?utm_source=SFGHG&utm_medium=referral&utm_campaign=8775) for easy cleanup and more accent color. Paint the mudroom walls to stand out from rest of the space, and give a concrete floor an attractive solid color or an area rug design for further definition, using painter's tape to create outlines and stencils for patterns. Put the garage to use by having a garage sale. That way, you can get rid of anything you no longer need or want, making it easier to store what you'll keep. Also, this can bring in enough cash for extras, such as inexpensive plastic-wrapped bike hooks that get the man-powered transportation up out of the way. Or, use a little money for hangers, or the supplies needed to make hangers, for storing out-of-season hoses, extension cords, [hanging plants](http://www.todayshomeowner.com/video/how-to-hang-bikes-in-your-garage/) or space-hogging sports gear or snowsuits overhead -- securely mount any ceiling hanger to sturdy joists.